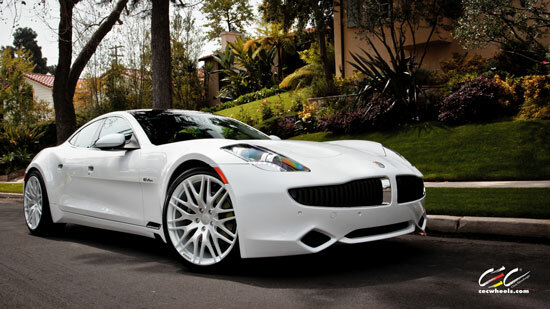 The good folks at CEC Wheels released photos of their CR91 Wheels being modeled on a Fisker Karma. 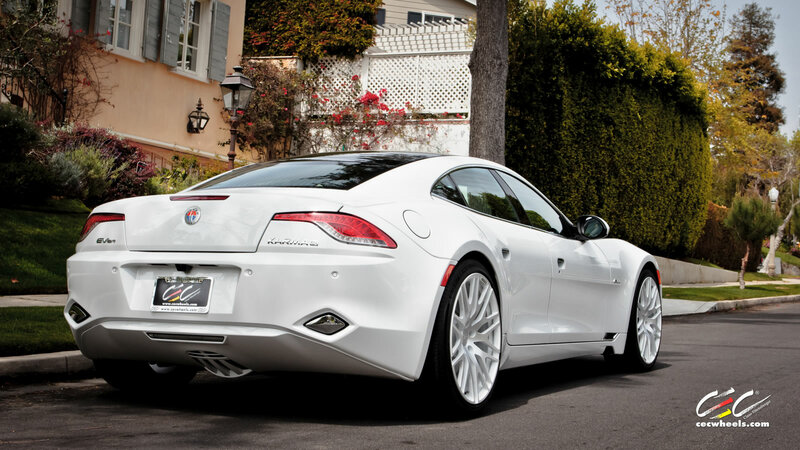 According to CEC, "the Fisker Karma is the first dramatically and aggressively styled luxury hybrid. With its swooping lines and wide, hunkered down stance, the car is a sight to behold on its own. At CEC, we wanted to continue with, yet enhance that aggressive theme. There's no better way to set the Fisker Karma off than to add an equally aggressive and dramatic set of wheels. 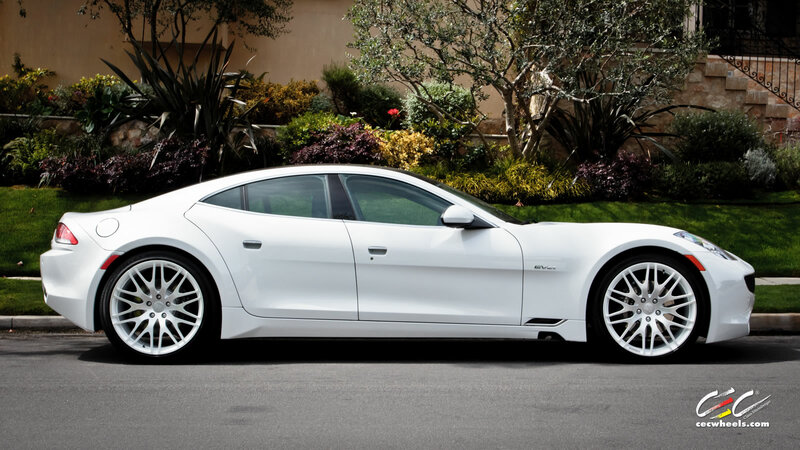 With staggered 22 inch CR91 Forged wheels, exclusively designed for the RESERVE by CEC program for the Fisker Karms, the CR91 wheels fill out the Karma's large wheel wells. 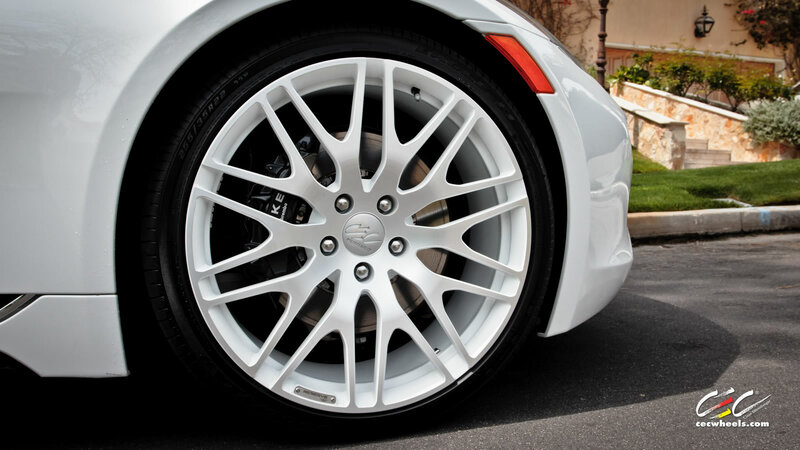 Finished in a matte white/ machined finish to compliment the pearl white paint, the Karms gets a more complete and sporty look thanks to the CR91 Forged wheels.